The embroidery is done by hand, but everything else is done by machine. 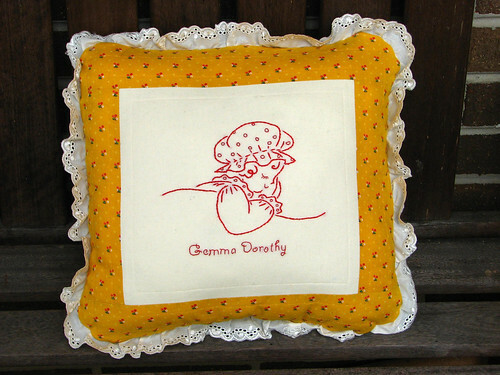 I love vintage and embroidery, so I kind of love this pillow by default. It’s adorable. This may be my new default for a keepsake baby gift. Wow, that embroidery is incredible for bebing done by hand! That is one lucky baby!